Snapchat's grabbing attention—and ad dollars—from big Super Bowl advertisers like Pepsi and Anheuser-Busch this year. Both brands will run pricey ads within the NFL's "Live Story" on the platform later today. But a number of brands—both official and non-official Super Bowl advertisers—are marketing on the ephemeral app even earlier than that. On Friday, the retail giant gave social media star David Lopez the keys to its Snapchat account as part of its on-the-ground activation in San Francisco. 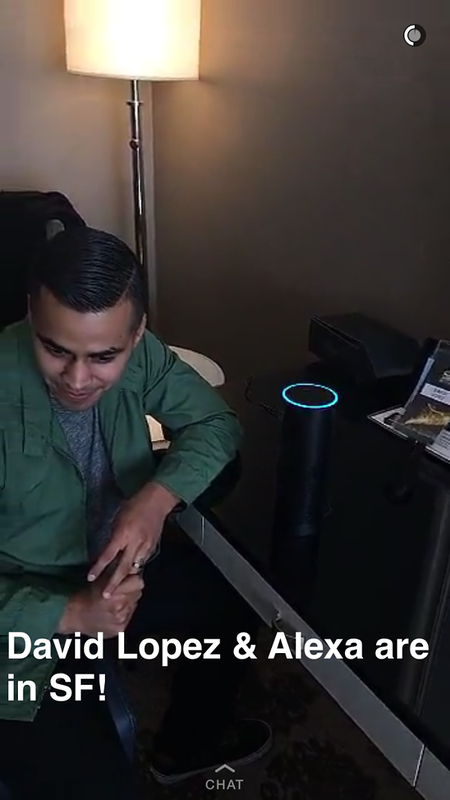 Similar to Amazon's TV spot with Alec Baldwin and Dan Marino, the Snapchat campaign promotes Alexa—Amazon's voice-controlled Echo technology. Since Friday, Lopez has posted a series of snaps that show Alexa's features—like a calendar that reminds Lopez to attend Maxim magazine's Super Bowl party on Saturday night. 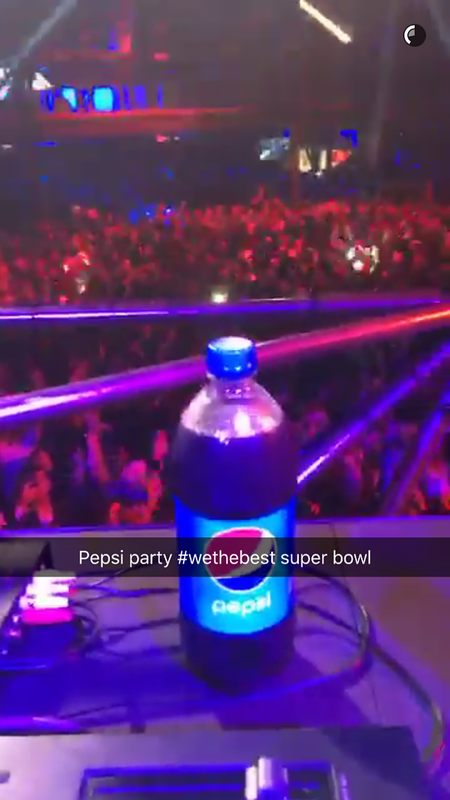 Pepsi is reportedly running ads between clips in the NFL's Live Story later today, but in the meantime, the brand got a bit of a pre-Super Bowl boost when Snapchat celeb DJ Khaled snapped from Pepsi's party on Friday night. Khaled DJed the soda brand's party at San Francisco's Pier 70, posting a picture of a bottle of soda tagged with #wethebest, a popular hashtag he uses in many of his snaps. It wouldn't be the Super Bowl without the famous "Gatorade dunk," and this year, the brand bought a Snapchat filter showing the Big Game tradition with Serena Williams. Users can overlay it on their own posts. 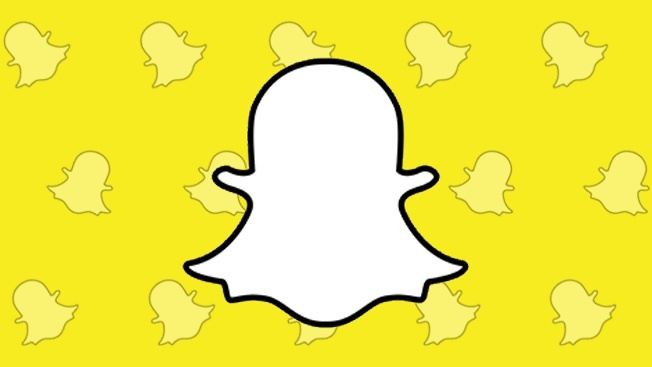 On non-Super Bowl days, ad buyers peg the price of Snapchat's branded lenses at $350,000. 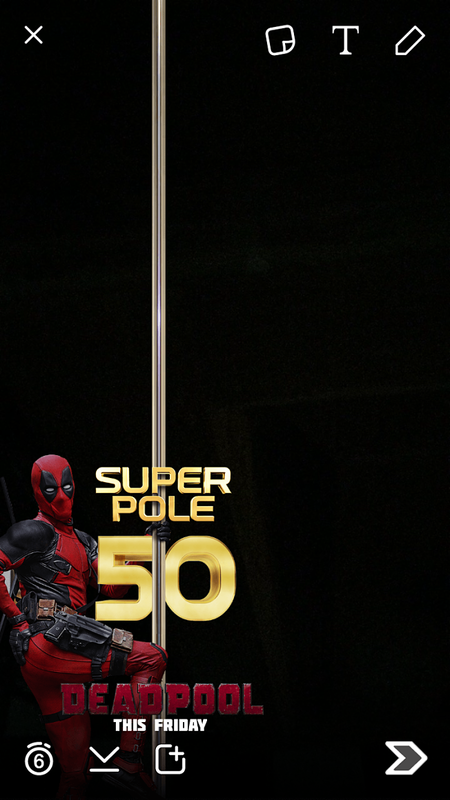 Twentieth Century Fox has purchased a branded photo filter (another one-day ad format that agencies say costs about $400,000 on a regular day) to promote Deadpool, the movie based on the Marvel Comics character. The film comes out Feb. 12, and the brand is running a couple different pieces of creative that Snapchat users can place on top of photos. On Saturday, Taco Bell ran its "biggest Snapchat story" to promote the launch of the Quesalupa—a cheese-stuffed chalupa. Fans could pre-order the item on Taco Bell's website and pick it up in stores this weekend before it becomes nationally available Monday. According to Taco Bell's Snapchat account, the stunt generated more than 40,000 pre-orders. 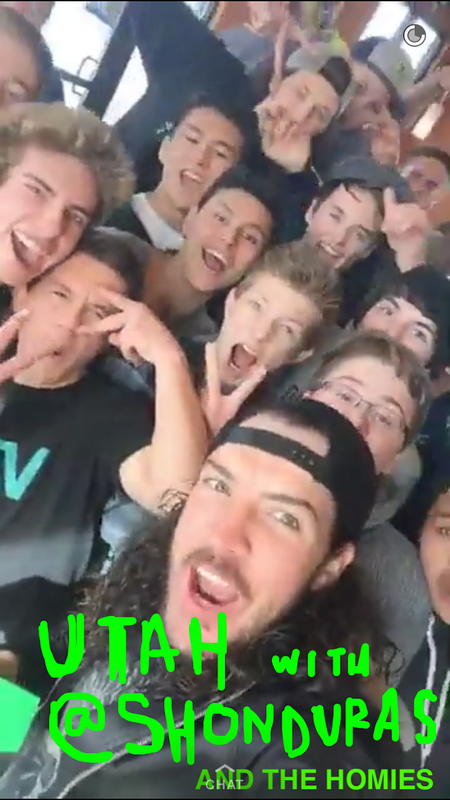 To build hype around the sneak peek, the chain hired seven influencers including indie band Never Shout Never and Shaun McBride—more commonly known as Shonduras—to take over the brand's Snapchat channel. The social campaign is part Taco Bell's bigger Super Bowl campaign, which includes a 30-second commercial in the first quarter of tonight's game. GrubHub ran a regional Super Bowl ad last year, and this year is spitting out food-related facts on Snapchat. 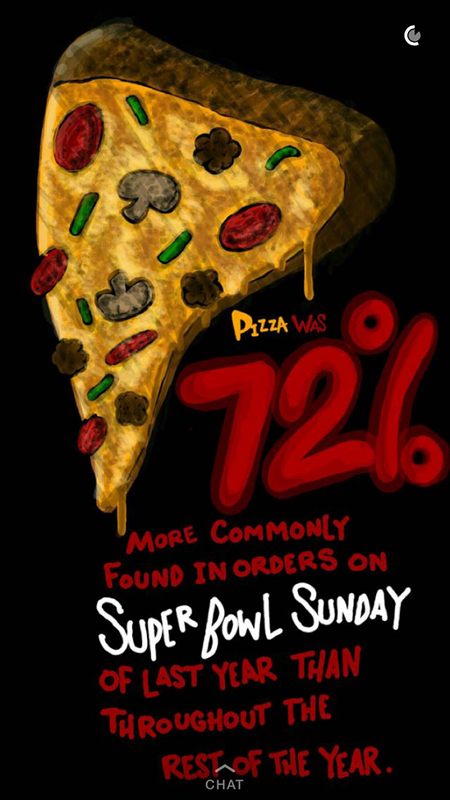 For example, orders for pizza were 72 percent more common during last year's Super Bowl Sunday than any other day of the year. And pepperoni, sausage and mushroom are the most popular toppings. Social-savvy GE is taking over all of the premium ad space within ESPN's Discovery channel to promote its smart barbecue equipment for tailgating. 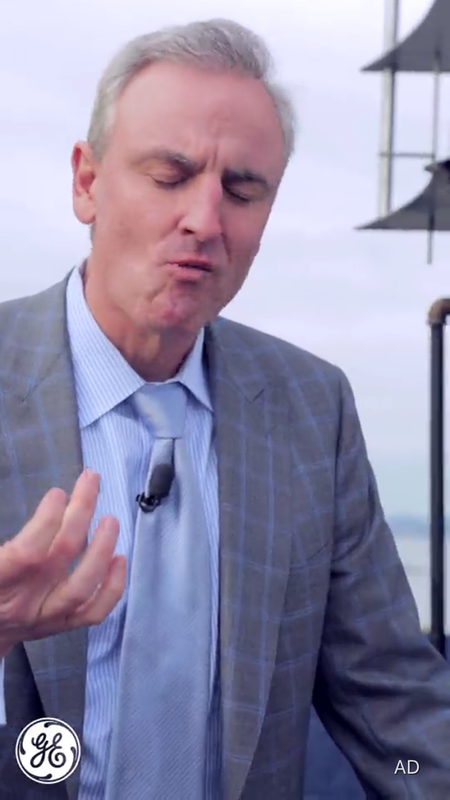 Three ads that fit in between content show former NFL star Jerome Bettis and ESPN personality Trey Wingo eating BBQ cooked with GE's technology. "Data—it makes barbecue taste so delicious," says Bettis in one of the spots. In addition to the ads, Wingo gives a shout out to GE's Super Smoker in a two-minute clip with other ESPN sportscasters talking about the game.